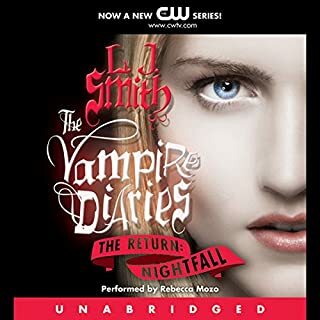 I listened to this book because of CW series rendition of The Secret Circle. I had no idea it was originally a book until I saw a comment on youtube. The series give you an idea of what the book itself is about but the stories are quite different in a lot of sense. 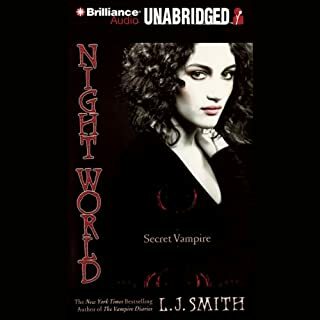 The narrator first and foremost is very much suited for this genre I must say, she did do a pretty fair job of the book itself. My only thought (slight problem really and it's just a personal thing) however is that the narrator though suited for this genre from the get go makes me think that this is a teeny romance novel. That is (in a sense) what the book is, however I believe with a different narrator it might have felt more than that. As for the story, it is far different from the series in many ways. The number of characters in the circle itself, the description of some of the characters, the make-up of the families and the very motive behind how or why the circle was formed. I find some aspects of the story a bit trivial and annoying (teeny love stories are a bit overplayed to me in general). I have always thought that teenagers in love, forbidden love and the likes are a bit overplayed at best and impractical in real life (alas, this is fantasy). The story itself though is fascinating, there are so many unanswered questions and twists and turns that the novel can take. I am without a doubt intrigued as to how the book series will continue. 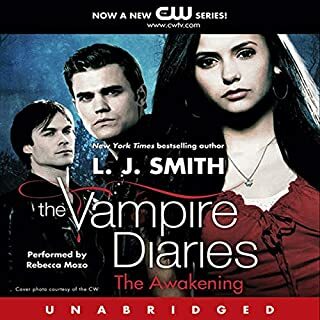 Where does The Secret Circle, Volume I: The Initiation rank among all the audiobooks you’ve listened to so far? In the fantasy category I would say that it is in the second position. 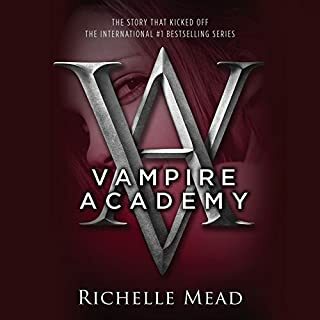 I really enjoy these kind of teen fantastic stories about vampires, witches, supernatural creatures, but I was expecting more scary scenes and more passion between Cassie and Adam in this first book. 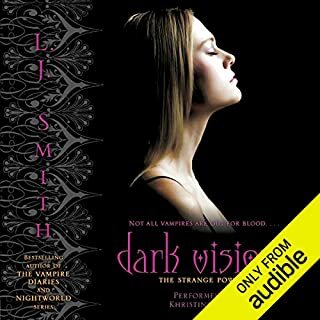 I watched the tv series before start reading and listening this book, so I really expected see more intensity than I saw on tv. I will listen the other books to see if the story will catch me the way the tv series did. In the book my favorite was Faye. She is seems so real and bad. Have you listened to any of Devon Sorvari’s other performances before? How does this one compare? Yes. It is always good to listen to Devon. Not exactly. I read it because I really love the tv series. I thought I would love this book more, but it did'n happen yet. I like The Secret Circle. I hope enjoy more the next books. When I don't want to read something intellectually heavy, I find books that I call "brain candy." This one definitely fits that category. It is well written and does most of the thinking for you. I'm not trying to be condescending, this is a vacation for my mind. Cassie is an interesting protagonist and the polar extremities of Faye and Diana are nicely portrayed. I wish these books were a little longer though. I'm already at the last book available and awaiting the next installment. I prefer the book series to the show on the CW, but I admittedly watch it faithfully every week. Not sure. If I did, I would do it with caution. I would DEFINATELY made Cassie less of a whiner and lighten up on her obsession with Diana. It makes her annoying and creepy and I personally wouldn't want to try to befriend someone like her based on this book. Cassie, our leading lady, is WAY too tantrum-y and horribly judgmental in the early parts of this book. I actually got ticked off at her and the way she described her Gramma. What a b****. What did you like best about The Secret Circle, Volume I: The Initiation? What did you like least? The premise of the story is interesting. Unfortunately, the author waists a lot of time with detailed descriptions and repeating the same things over and over. It makes for a lengthy book that's not very interesting since very little actually happens. Would you recommend The Secret Circle, Volume I: The Initiation to your friends? Why or why not? Yes, the narrator did a good job. I wouldn't call it an amazing job like other books I've heard but not bad. Did The Secret Circle, Volume I: The Initiation inspire you to do anything? 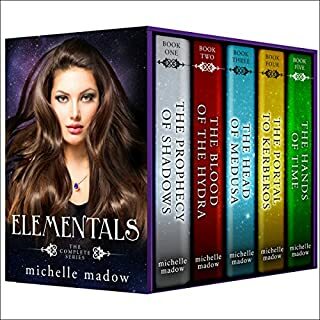 I decided to listed to theses books because the show was cancelled. I quickly realized the stories are completely different. Even basing the book just on its own its not that great as the reviews claimed. I feel that the show had a better story line. Great Reading Fast. Love it!!! 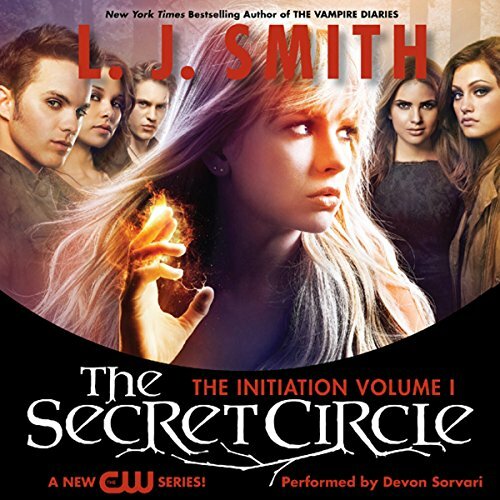 Would you listen to The Secret Circle, Volume I: The Initiation again? Why? Yes, but only after I finish them all. I love em. What was one of the most memorable moments of The Secret Circle, Volume I: The Initiation? Yes, all of the Vampire Diaries. She is great in all of her readings. yes, it was great and I am the type that get car sick easily so I can't read and ride so the audiobooks for me work great! Just figuring out that it is completely different from the series on TV. No this was the first. If you could sum up The Secret Circle, Volume I: The Initiation in three words, what would they be? What other book might you compare The Secret Circle, Volume I: The Initiation to and why? What about Devon Sorvari’s performance did you like? I loved the way she read the book it was easy listing. The way Devon Sovars's portrayed the character so well, just painted a fantastic picture of all the characters. I really enjoy the TV series, but this is a really really boring book. I normally love to read books about witches and magic but this was dull, dull, dull and I am glad to be finished. Will not be ordering book 2. Very disappointed !! !